Reiki is an ancient form of holistic healing that utilizes natural energy forces to reduce stress, pain and anxiety, while promoting balance and harmony by strengthening the energy field. The RoseHeart Reiki Lineage was established in 2000 and offers extensive training based on practical hands-on experience gained over 18 years of conducting healing sessions. In addition to the wealth of experience gained through her private practice, Carol-Ann has also provided Reiki treatments at Wellspring House, the Oakville Trafalgar Memorial Hospital, Milton District Hospital and Georgetown Hospital. for physical, mental, emotional and spiritual issues. The RoseHeart healing modality is founded upon the traditional Reiki teachings of the Usui and Tibetan methods, but also incorporates specialized healing techniques available exclusively through the RoseHeart lineage. Please refer to the course schedule listed below for upcoming training opportunities. ​Private healing sessions with Carol-Ann are available by appointment at a rate of $150. your emotional wellbeing and physical vitality. First Degree Reiki training offers participants detailed instruction on how to conduct Reiki healing sessions on oneself and others. Students are attuned into the Reiki energies and will experience these new abilities during the practical component of the course. Second Degree Reiki training provides practitioners with access to higher vibrations of energy as well as the ability to facilitate long distance healings. Practitioners are initiated to the symbols utilized at this level. The Reiki Master Healer teaches practitioners how to facilitate focused healing for specific conditions using the Master Healer symbols. Master practitioners are able to access a broader spectrum of energies for healing sessions. 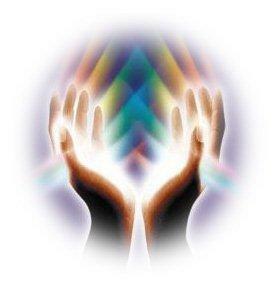 The Shamballa Multidimensional Healing System is an expansion of the healing modality referred to as Reiki. The Shamballa system enables Reiki practitioners to access energies on multi-dimensional levels of a person through the 352 symbols that are inherent to the Shamballa system. Shamballa provides practitioners with the ability to facilitate healings in a much faster manner, but also with more focused energies that reverberate throughout the many dimensions of the Soul aspect. Shamballa was introduced in the late 1990's and has continued to expand throughout the world. This training is available to all Second Degree Reiki practitioners. Courses are held from 10 a.m. to 5 p.m. during weekdays or weekends.